O, you magnificent Hipster, you! You independent thinker, you counter-cultural devil! Let us hear you espouse progressive politics and appreciation for art, indie-rock, and witty banter. Let us hear you pooh-pooh your favorite band after they get played on the radio. Look at you puttering about your urban neighborhood in vintage thrift store clothing, tight-fitting jeans, complicated shoes, and special glasses. Your messy hair bespeaks of effortless cool. I see you are shunning mainstream advertising and media! (Except Apple). And how diverse your friendships are! But you reject the dude who says bro as your oppressor! I suspect your choice of coffee is impeccable. Do you grind your own beans? But of course! Hipster, you are the pioneer of trendiness! When we catch up with you, you have moved on. Or have begun to circle round behind us to wear something we stopped wearing long ago, after you moved on because we caught up with you. You are so sneaky! Say, what are you writing on that typewriter? Is it code for an app? You silly goose! How ironic! 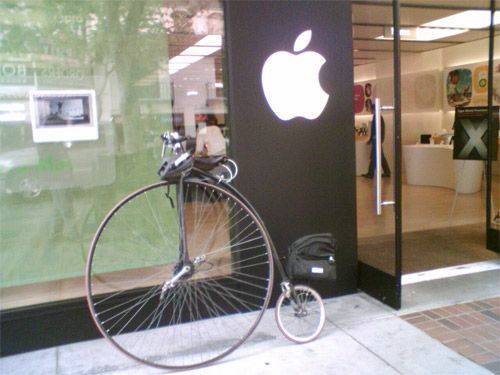 Hipster, if I can teach you one thing, let it be that – the true meaning of irony. Funny hats are not ironic. Just funny. And you, Hipster, are exquisite! So…a hipster is more dude-ish? Oh no. The Hipster is at war with Bro Culture. Aha. I’m still trying to understand what one is. Are they good overall? Well, as far as I can tell, there are no Hipsters in the PL. So what does that tell you? Ahhhh. . . . hipsters don’t grind their own coffee, ok? They roast their own beans, ones they import from a country you’ve probably never heard of. Ok? This sounds like a non-profit. How are they financing it? Trust funds? There’s a band, you see? Ah, so they are like buskers, maybe. This. Hilarious. I noticed too recently hipsters have adopted a scowl while walking with their trendy retro girlfriends, also scowling, he probably as a result of the skinny jeans, and she probably because she just realized she is with him. Yes, The hipster scowl. I bet you get in trouble if you do it wrong, too. I love this post! Until now I didn’t realize but hipsters are just the same guys who wore corduroys and played Dungeons & Dragons (I was one of them). They try so hard to be non conformist that they conform to non conformism, if that makes any sense? So I was a hipster once, but not now that it’s cool to be one? I don’t think I could fit in the trousers in any case. Ho hum. I think everyone is simultaneously annoyed and impressed by the hipster. It is the Hipster Paradox. That’s it, absolutely. A friend of mine told me that if he puts the hashtag #hipster on Instagram for whatever picture, he gets loads of likes and hits. It’s got to be worth a try. OMG!! Every time I read this blog I love it more and more!! It really speak to me damn Hipsters. Never gorgeous enough, thin enough or bothered enough to be a hipster. Looks like it takes too much energy. And I’ve got knock knees- I think I’d be automatically disqualified for that alone. Had a good scowl back in the day. Now, the ravages of gravity mean that even when I feel like I’m smiling, I look like a grumpy old baggage. Ooh, maybe that’s my ‘in’. Well I definitely agree it must be a lot of work for the hipster to always stay ahead or sneak around behind. They can never rest, can they? Could you do it like the band Talk Talk did? Name your band, your first record, and your first single all Ravages of Gravity? That might be something. This made me smile, particularly because here in my home city, we pride ourselves on our abundance of hipsters. Messy hair does speak of effortless cool but what about the top knot and the man bun? Any hipster worth his salt can whip one up while driving. His bike. They can be awfully talented, can’t they? That makes them all the more sneaky.